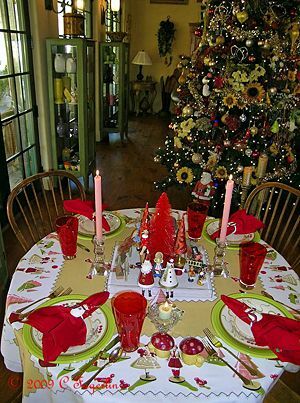 Candy, this is one of the most GORGEOUS & inviting festive table settings ever! It is so vibrant. I love the various items brought together so beautifully. Lovely. How could I resist the post title? This is so pretty - just the sight for these eyes that have seen little in the past weeks but grey skies and rain. Oh Candy, what a gorgeous setting! 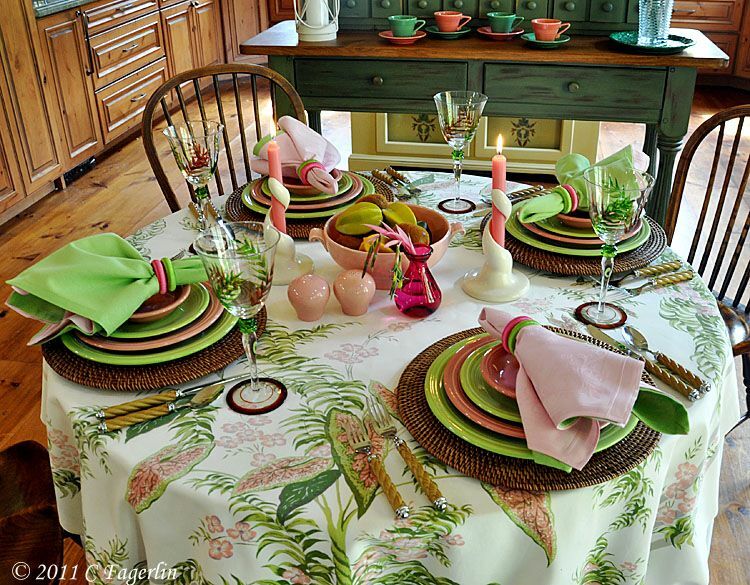 The colors are brilliant and the table looks so inviting! What's for dinner? 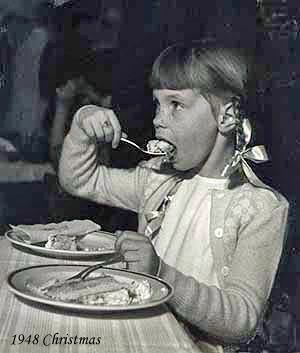 oh, Candy.... Rebecca is going to have the vapors when she sees your table... 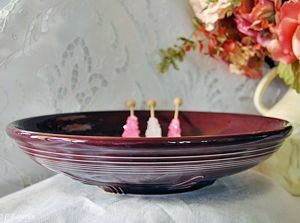 It's breathtaking, and you even managed to incorporate her beloved (not yet a fiesta color)... Fuschia! Makes me feel like being in the South Pacific. This is a wonderful table, Candy. I love how you tied everything together. Cndy, this is absolutely one of my very favorite tabes of all time. 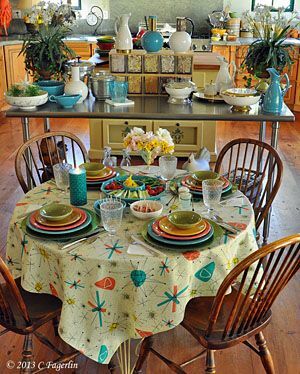 I ADORE, LOVE and DOUBLE LOVE the tablecloth. Pink and geen are two of my favorite color combinations and you did a fantastic job with them!!!! 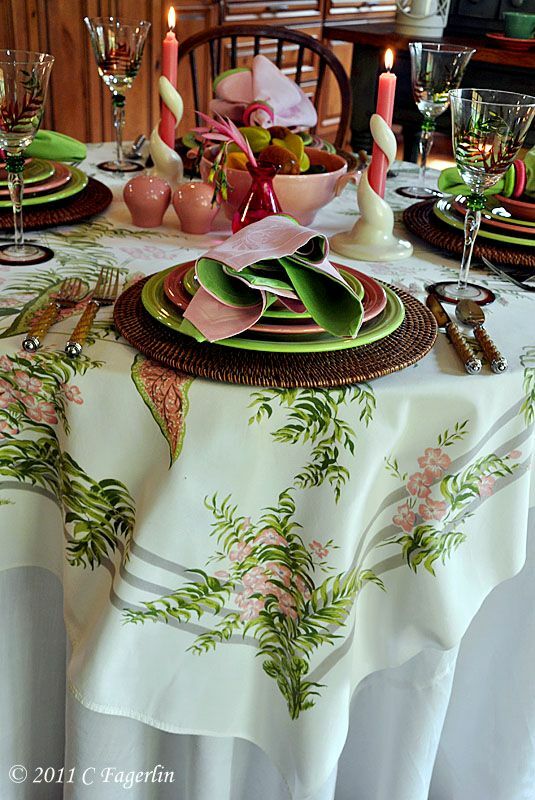 I can't say enough good things about the table except...I WANT THAT TABLECLOTH!!! You have such an eye for color! Thanks for sharing, I'm sure Rebecca loves it. wow, the colors are elegant/delicate. The pink and green is so lovely! 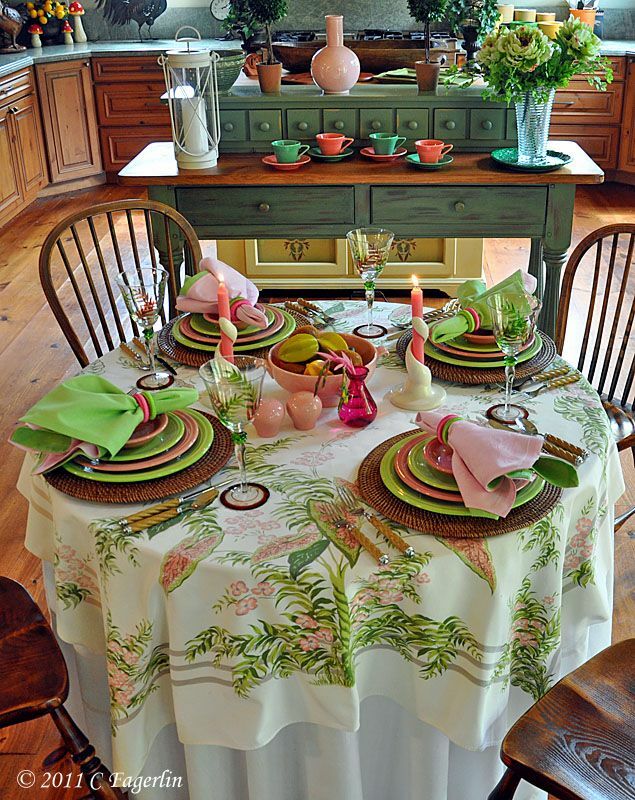 What a wonderful spring table. 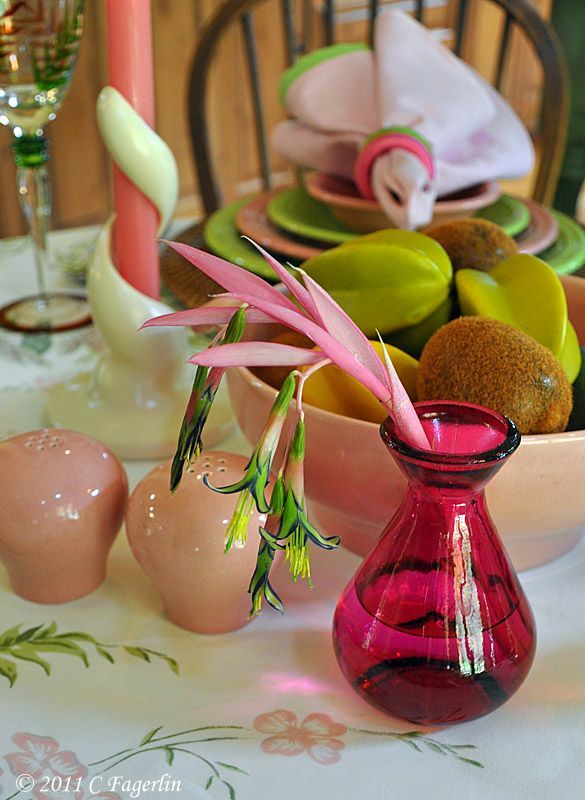 What a beautiful spring table. 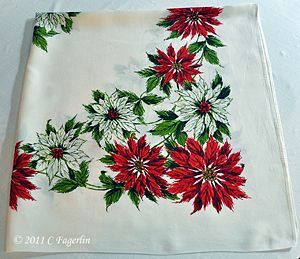 Your flowers are beautiful and look lovely with that wonderful tablecloth!! 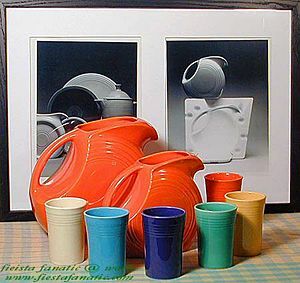 I love the colors you used today in your post. 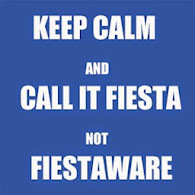 Happy VTT! 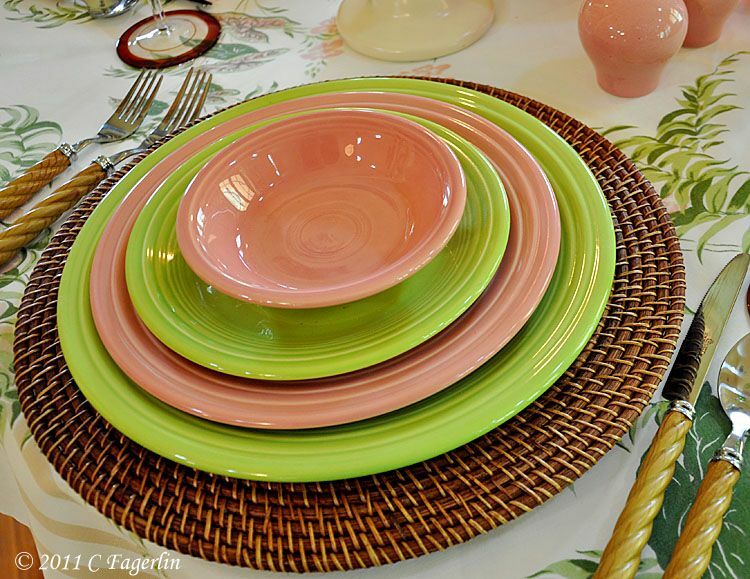 I love the harmony of the pink and green, Candy! 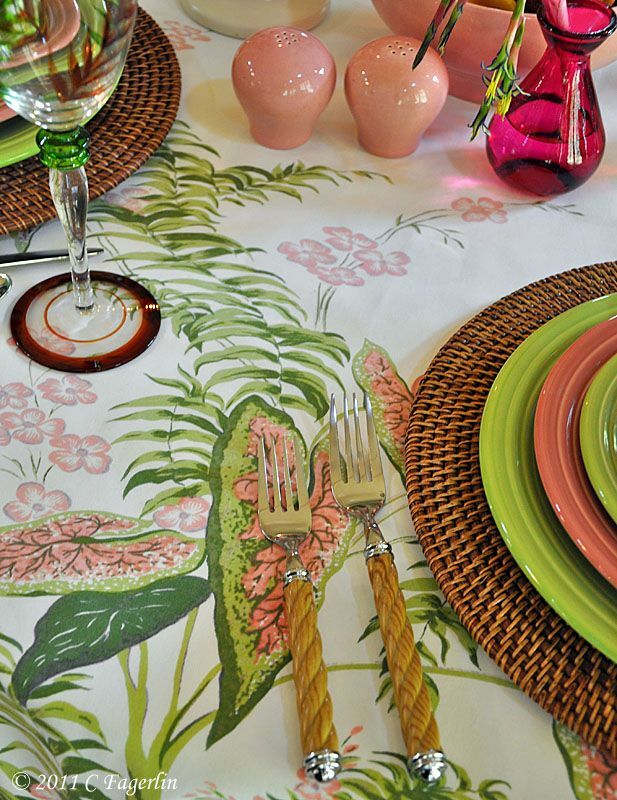 The placemats and flatware give just the right naturalistic touch to this tropical retreat! Beautiful. 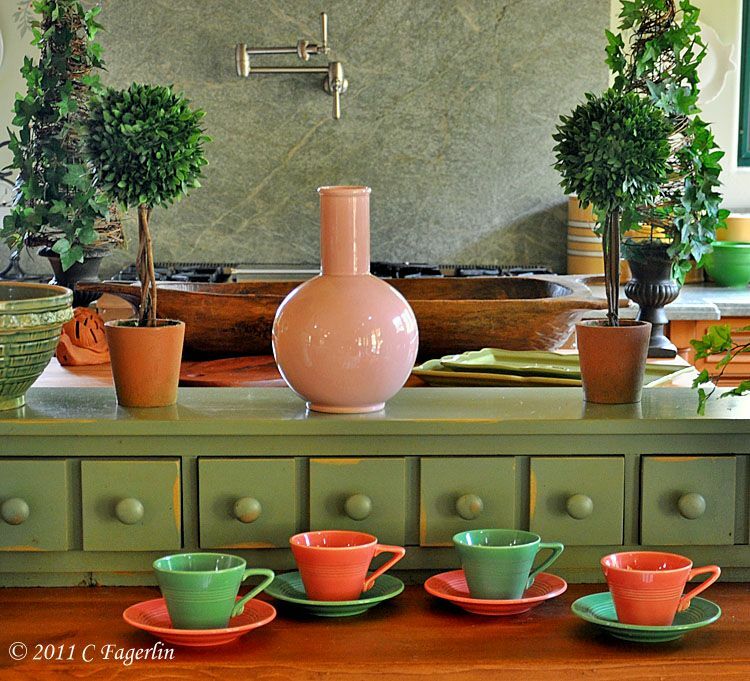 Love the pink and green combination. Hi Candy! 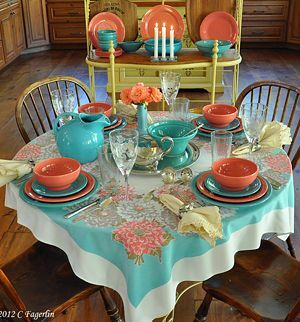 I am in love with the tablecloth and the colors on this table. 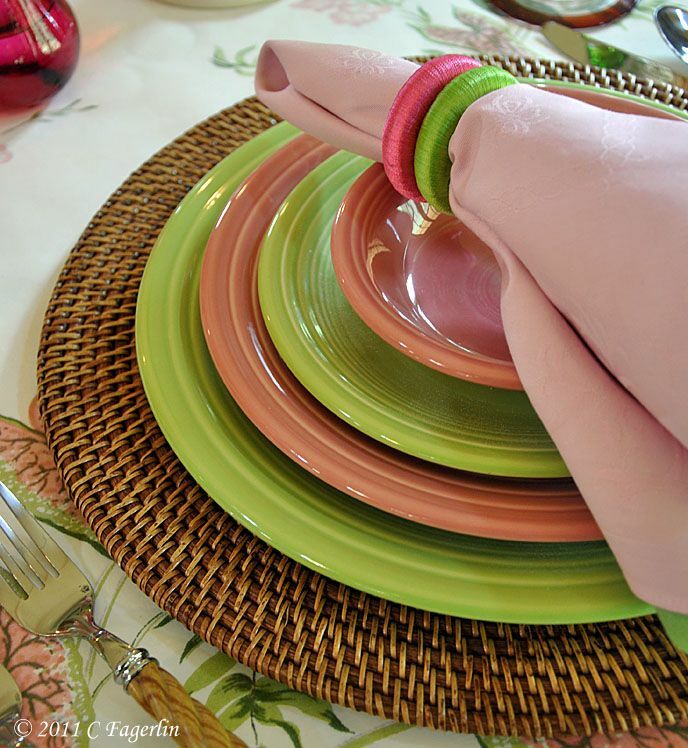 Thank you for sharing your beautiful table setting at my Open House party. You did an excellent job on your table settings. I am not sue if I would know what to do at a table that looked like that. 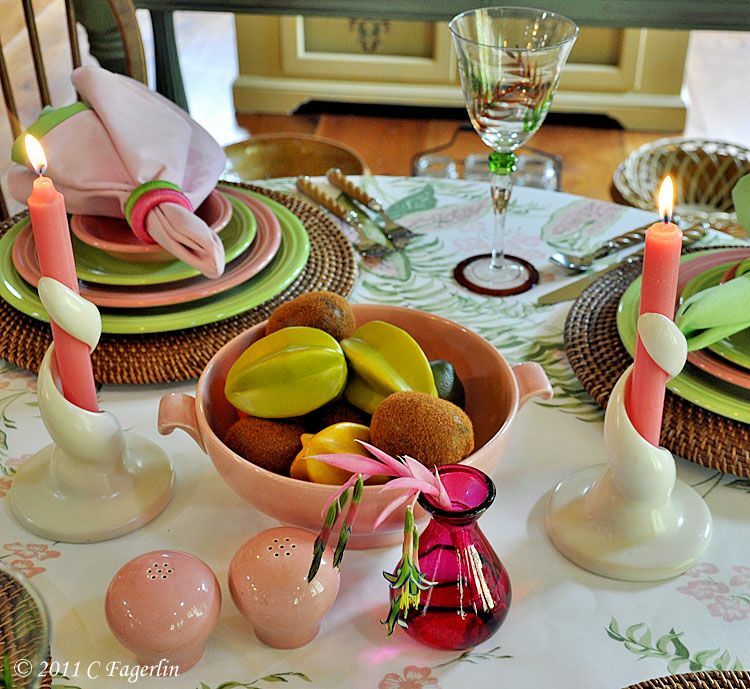 I love the pink and green tablescape. So fresh, pretty and perfect for spring!! Happy Birthday to Rebecca....Your table setting is absolutely beautiful. I was going to ask you where you got the beautiful tablecloths in your header and then was pleasantly surprised that you were giving information on tablecloths. Your dishes and everything are lovely. I wouldn't even want to have anything on my plates...or eat...I would simply love to sit there and admire the beauty on the table. Gorgeous, as always, Candy! 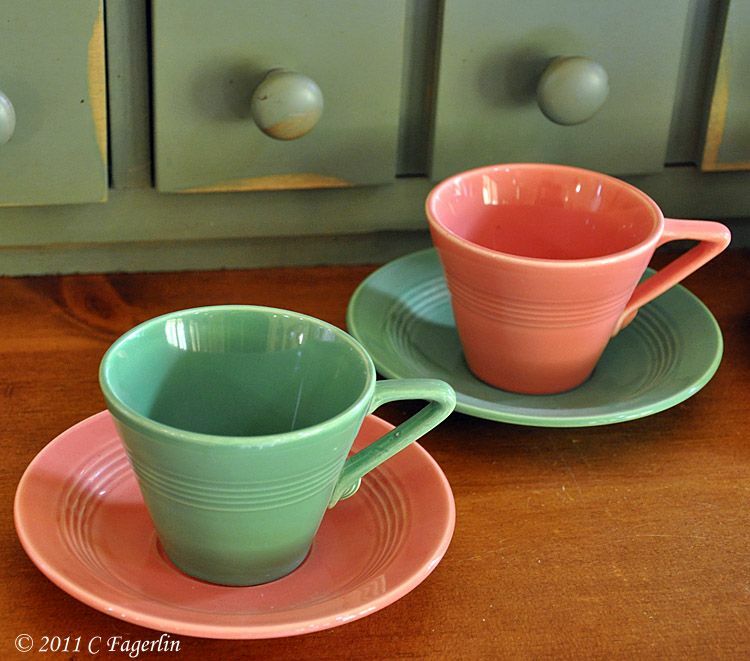 I really love the turquoise and fuschia cups and saucers mixed the way you showed them. These are the perfect spring colors, I think! 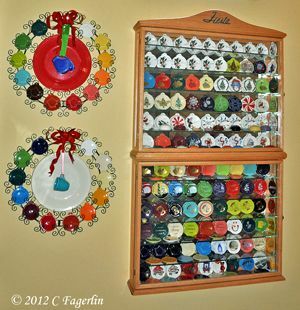 You have the most incredible collection of linens and dishes! As a novice tablescaper, I bow down to you on a regular basis. 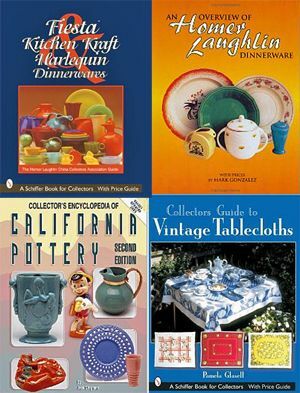 I am constantly learning something from each of your beautiful tables. Thanks for the inspiration! 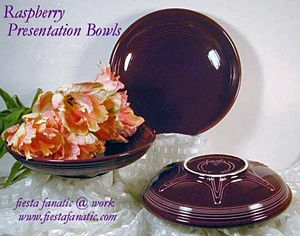 What a wonderful color pairing! I am so blessed to be inspired by such wonderful divas! Thank you for making me feel so special today!!!! 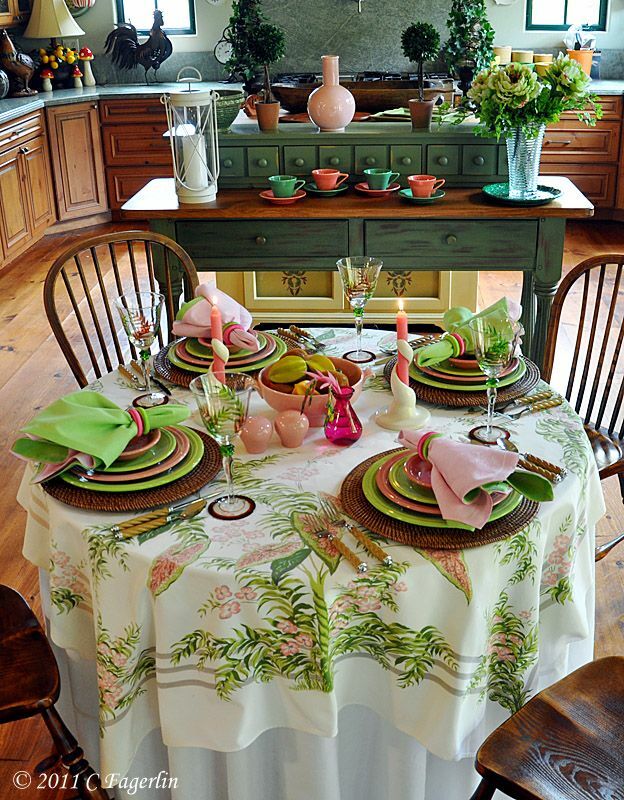 Love the pink and green vintage cloth. Nothing is more charming that those colors and being vintage. 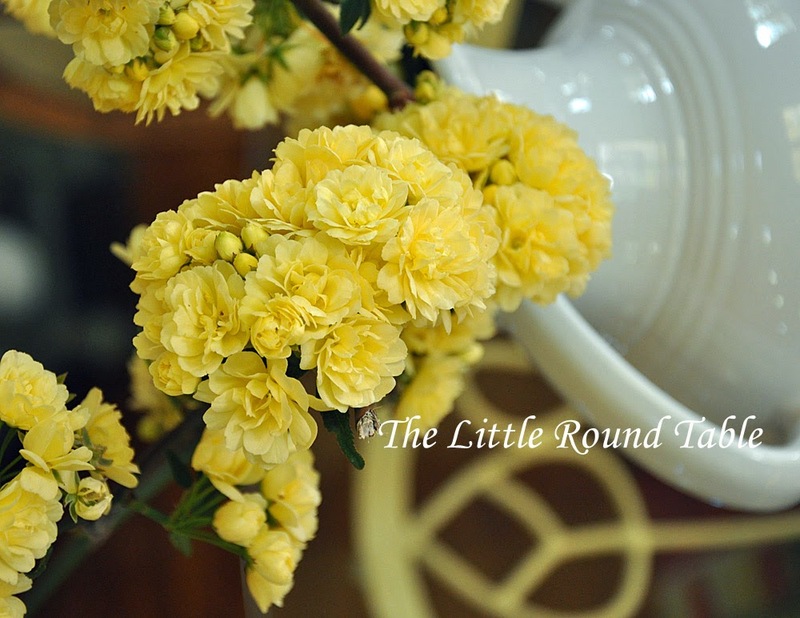 I learned about a new flower today.. never had heard of this one.. it's quite the charmer! great bd table. 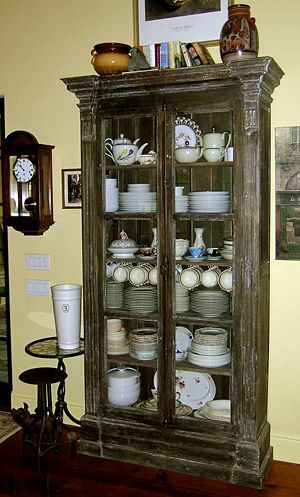 Lovely vintage displays on your table. Such pretty tablescape. 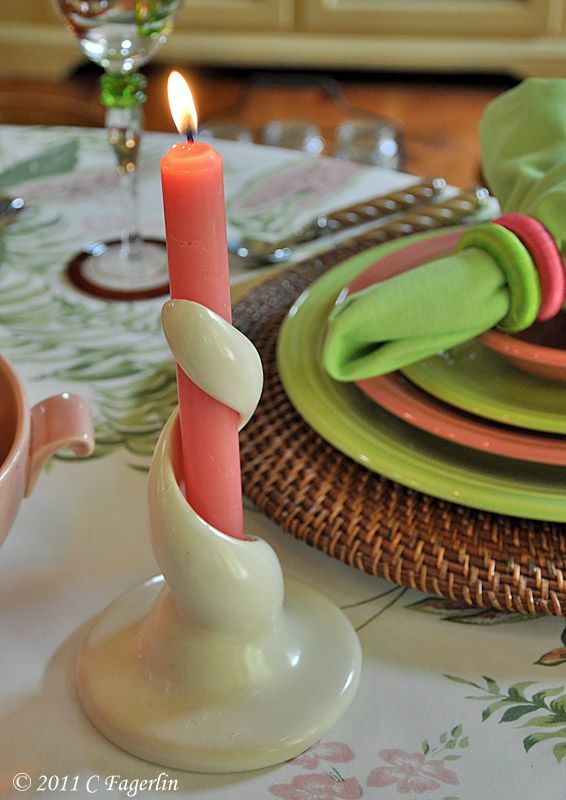 I just love those candle holders! Such a pretty tablescape. I love all of the beautiful and cheerful colors! 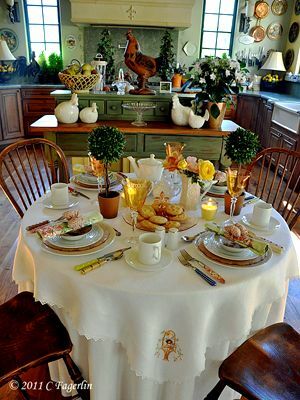 This is a beautiful tablescape! 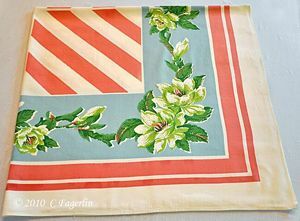 I love the colors in this one and that vintage tablecloth just makes it perfect. Very pretty and tropical! Thanks for linking up! 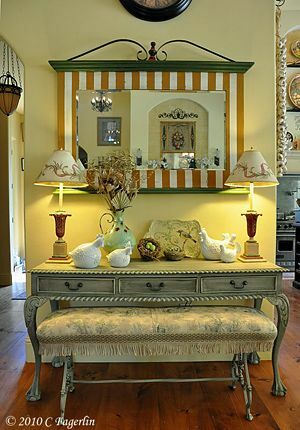 What a fabulous use of color!! Beautiful table! Your tables are always amazing!! 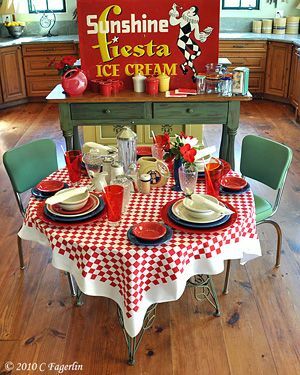 Your friend is going to never forget this birthday with the gorgeous table you have prepared. 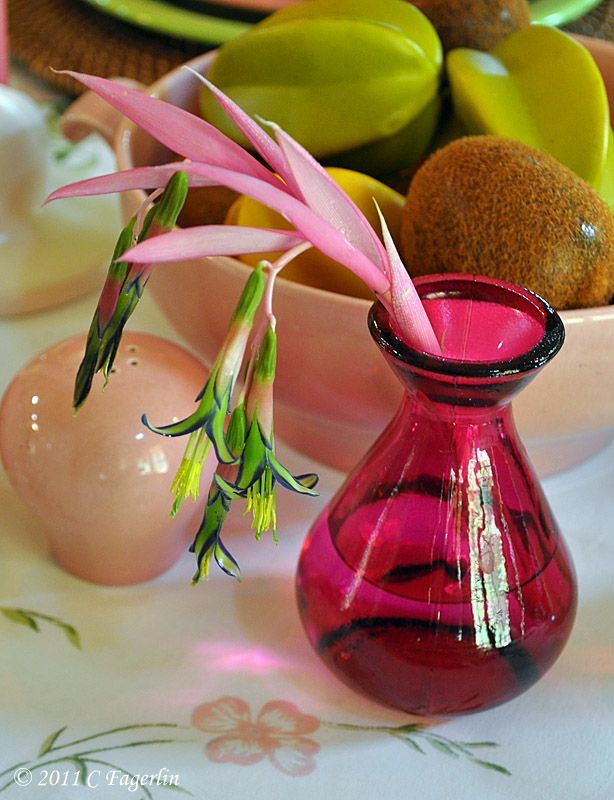 The fushia and lime green are stunning, and a combination that I would not have dreamed, but is brilliant! The table cloth could not be more perfect! 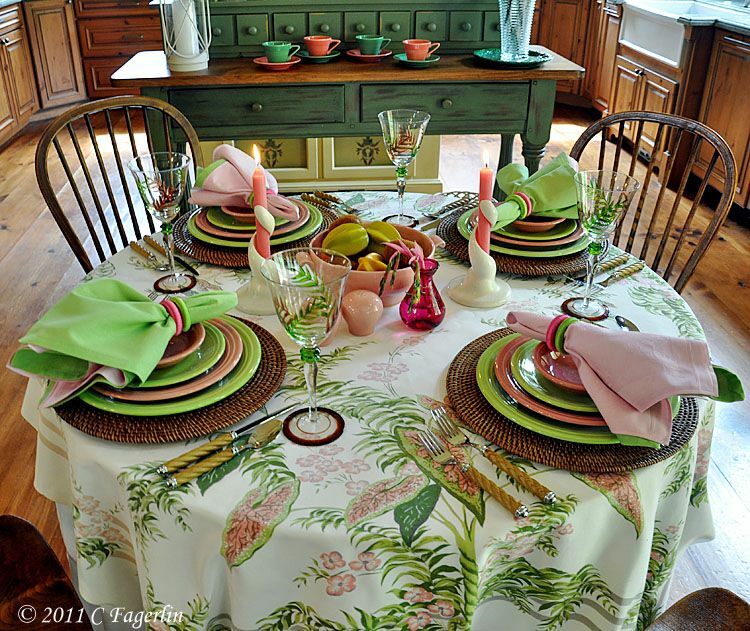 Great tablescape and I love the tablecloth! I love the pink and green combination. Everything looks so lovely. Oh, this tablescape is so striking. It really draws the eye in. 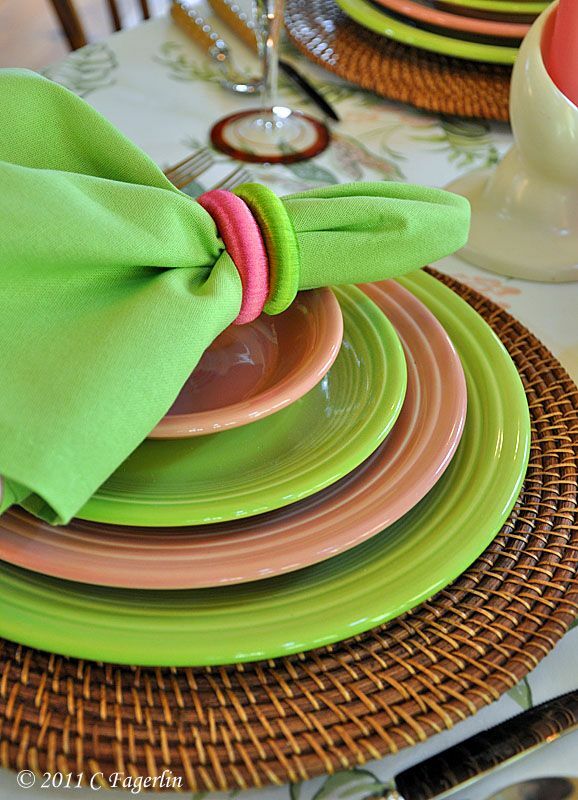 Love the colors and your beautiful tablecloth. YOu realy put together a treat for your friend. 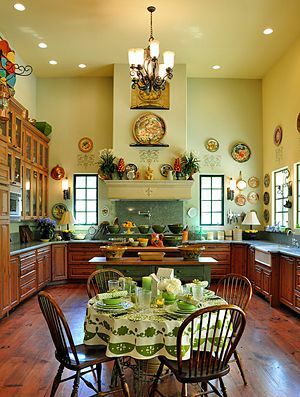 Your kitchen is wonderful too! Thank you all so much for stopping by and for all your sweet comments, I do appreciate it. How fun to have so many friends celebrate a birthday virtually like this! I love the pink and green combo. Definitely very "spring" colors in my mind. Thanks for coming by myorii! 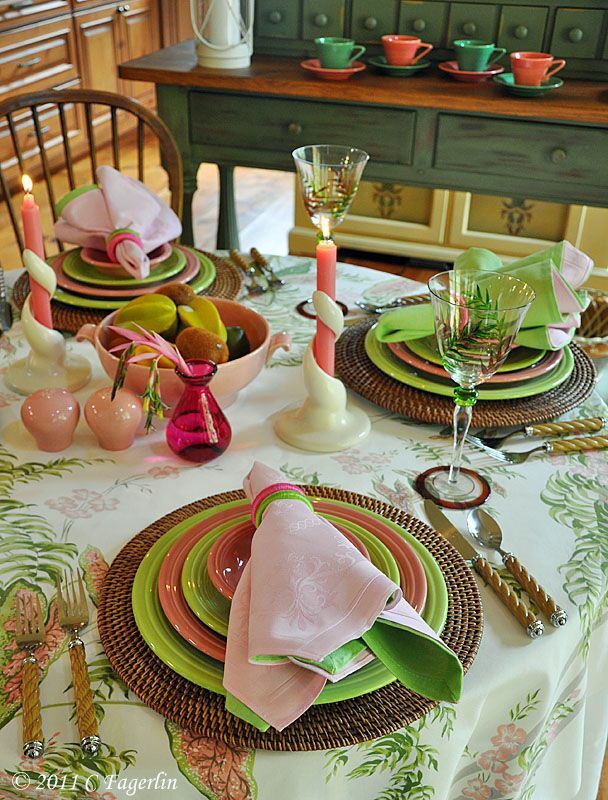 The pink and green combo is a particular favorite of mine and I'm pleased that so many of my readers enjoyed celebrating Rebecca's birthday with us. 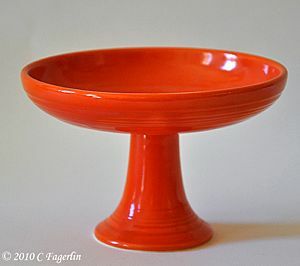 What a fabulous color combination! When I opened the link I was thinking...okay, she's finally done it...she's finally put together a table that's not going to be glorious. This was so happy. I totally adore this color combination. I can see it for a beach wedding...happy and sunny and unusual.